Part of the purpose of this year was to get out and try a bunch of stuff to see what I like and don’t like. As an adult it’s easy to fall into the trap of not learning new things because it seems like you have to know everything before you even get started. It feels uncomfortable to be a beginner again; we’re always supposed to know everything. This year has been fun to throw out the perfectionist, fear of failure I’ve harbored as an adult in exchange for the child-like ability to just jump in and get messy. I’ve learned over the year that I can get in and figure just about anything out. For those who need a simple project to start with, knitting is the way to go. 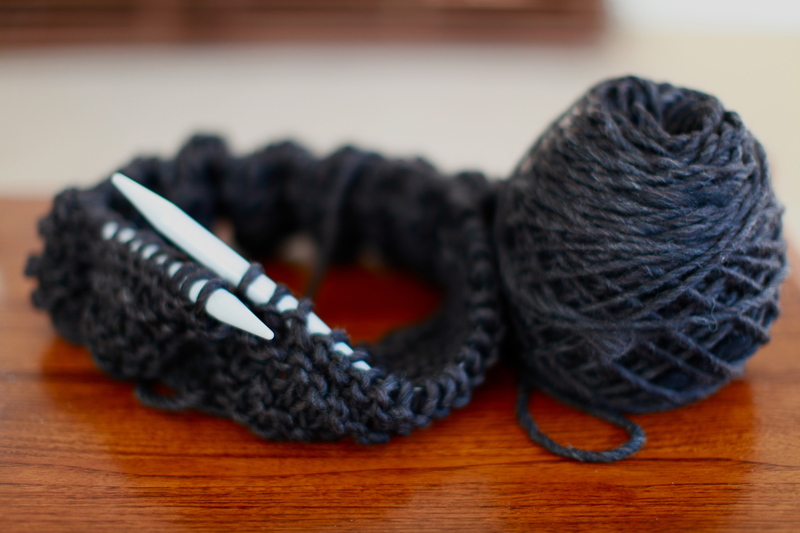 You literally only need knitting needles, yarn and a friend to show you how to get started. Or if you don’t have any friends or family who knit, you can easily get started through YouTube videos. Today I stopped by a local knitting shop called Shuttles, Spindles and Skeins my friend Faith had recommended to me. What an amazing shop! I will need to write another blog post on the shop alone. For my first project I wanted to make a knitted cowl (instead of the usual scarf) and I knew I wanted chunky yarn. I picked out the yarn I wanted and with the help of Sara, who has an MFA in fibers, within minutes I was seated at their help table and knitting away, on circular needles nonetheless! I’m about halfway through my first knitted cowl and plan to head back to the shop tomorrow to finish it off. I can already tell I am going to love to knit. You are currently reading Knit Away! at 52 To Do.